Hello year 2011! Hope you had a blast wherever you were on New Year’s eve – flows of cocktails, canapes, fireworks and most importantly with people whom you care very much. I spent New Year’s eve at home with my beloved and my old pal, Adam, watching Sydney fireworks on telly. A pretty calm and quiet night for me, actually. That said, this was what I needed after the busy Christmas celebration plus we have been driving back and forth from Orange to Bathurst (about 40 minutes each way) looking for a house for the past weeks. After staying one year in Orange, it’s time for us (myself and my beloved) to move again. As we all can agree that it’s never fun to move. The thought of packing and unpacking shudders me but my pressing issue at the moment is to find a decent accommodation. It has been difficult due to the competition in the rental market nowadays but I’m optimistic and fingers crossed, we’ll find something soon before our current lease ends in a couple of weeks’ time. Anyway, house hunting story aside, January is the perfect time to cleanse our diet. Translation: a much needed break from my excessive butter consumption from Christmas all the way through to New Year. One of my long list of New Year resolutions is to stay healthy. I suspect this may be on everyone’s list of resolutions too, eh? 😛 Anyway, what a better way to start my New Year with this wholesome muffins to start my day (worth noting this is my first time putting the word “wholesome” and muffins in the same sentence, hehe!). 1. Preheat oven to 180 degrees Celsius / 356 degrees Fahrenheit for convection oven or 160 degrees Celsius / 320 degrees Fahrenheit for fan forced. Lightly grease a 12 hole muffin pan. 2. Sift flour and baking powder into bowl. Mix together vegetable oil, milk and egg until well combined. 3. 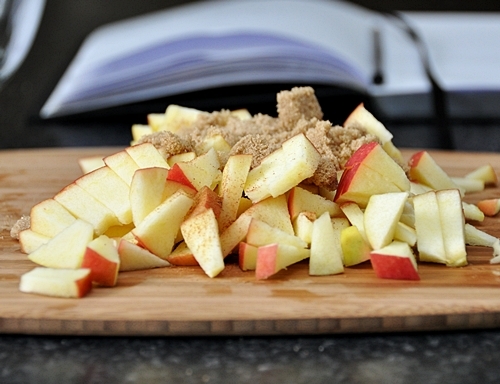 Place chopped apple, brown sugar and cinnamon in with the flour mixture. Pour in the milk mixture and stir until just combined. 4. 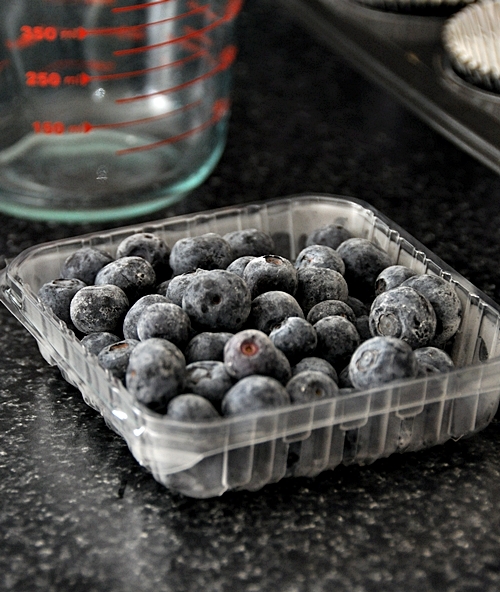 Add the blueberries and carefully mix in. 5. Place in preheated oven and cook for 10 – 12 minutes. 6. Let stand for two minutes then take out of tin. 7. Serve immediately with a flavored fruit yoghurt and extra berries if desired. Happy New Year and good luck with your move. These look very healthy – I think we could all do with a little de-toxing after the excesses of December! Wow, great pictures. The muffins look delicious, thanks for sharing the recipe! 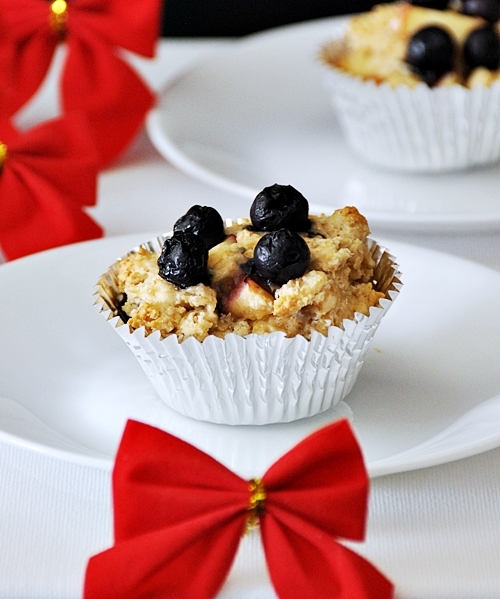 Blueberry muffins are my absolute favorite, these sound so easy and healthy! Great recipe and photos! Happy New Year! I hate moving too and hope that your hunt for a new home and the subsequent move will be as stress free as possible. I’m loving the chunky look of these muffins! Thanks so much for sharing the recipe! i love all the fresh ingredients!! Congrats to you on being in Foodbuzz Top 9!! Stunning photos!! Your New Yesr’s sounds simply perfect. 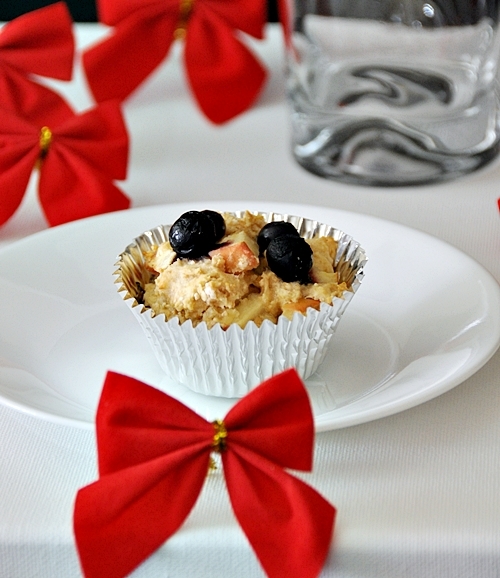 Loving these healthyful muffins… muffins are always something that I can get my kids to eat, they have been a nutrition vehicle for years, these will do just fine! Wow! I came looking for your apricot lime polenta cake and found so many delicious looking desserts! Now I don’t know which one to try first! 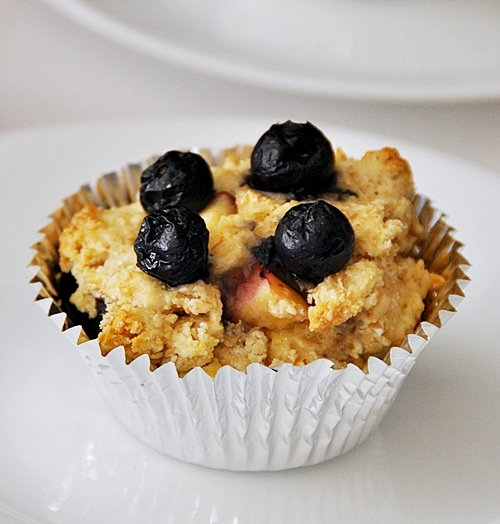 Maybe the Apple Blueberry Whole Meal Muffins. I won’t fell like ! broke my New Year’s resolution already! I know people think it’s cliche to make being healthy a new years resolution, but I still think it’s a great one! 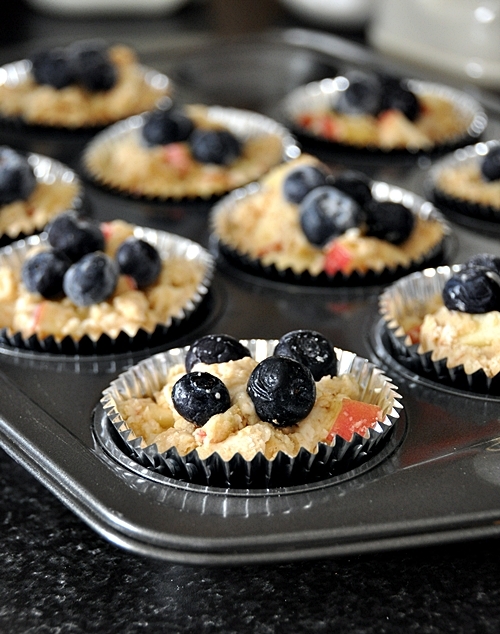 These muffins look amazing and I love blueberries. Happy new year, Emily, and good luck finding a new place! That looks wonderful. I am loving this recipe. Super!!! I made them, too.I used rye flour instead of wholemeal flour and pitted sour cherries instead of cranberries. I also put 3 tsps of brown sugar and 2 tsps of honey as the sour cherries were really, really sour…a very easy to do recipe and also very good and healthy for the kids..my son ate one as soon as I took it out of the oven, hot as it was.I can also send you a picture to see how they turn out.Thank you for a delicious and healthy recipe!I’ll keep following your blog for more culinary surprises. Keep up the good work! 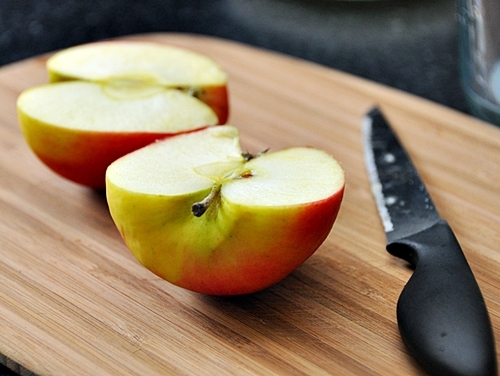 I love the variation you’ve made to the recipe…it sounds delish! I think bakeagoods are best eaten straight from the oven, your son has good taste 😉 If it’s not too much trouble, please send me the picture, I would love to check it out! 😀 Thanks for your wonderful feedback….I will be back blogging soon after I get house organise after the move…. can’t wait!